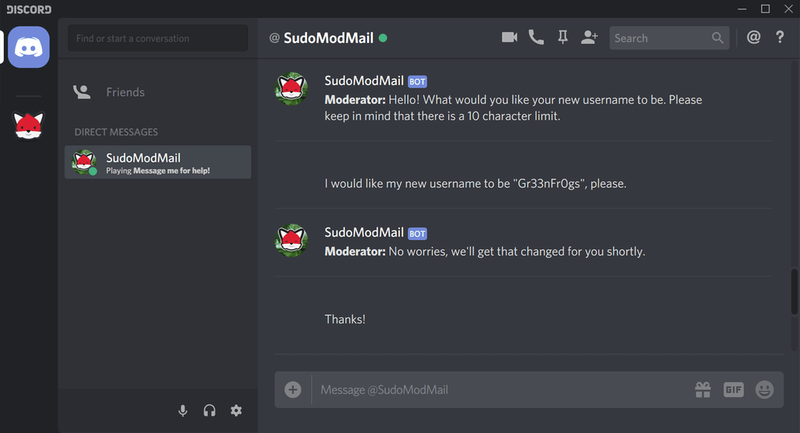 There are multiple ways to request a username change. The easiest and fastest way is through our Discord server. 1. 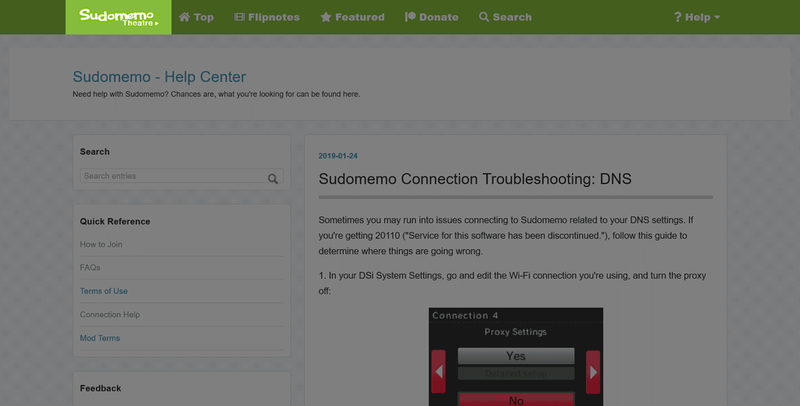 On the top left of the page, click on “Sudomemo Theatre”. 2. 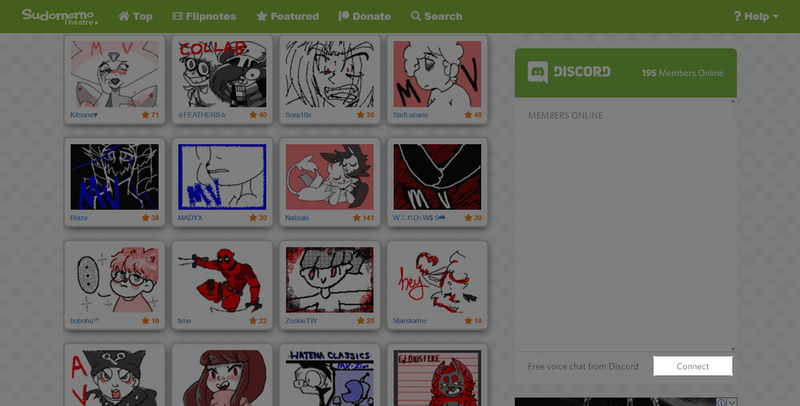 Scroll down until you see the Discord widget on the right. Click “Connect” at the bottom. 3. Once you’re in, you’ll need to verify yourself. Follow the instructions Tatsumaki mentioned you in and you’ll be in in no time! 1. Take out a camera, your DSi, a pen, and paper. 2. 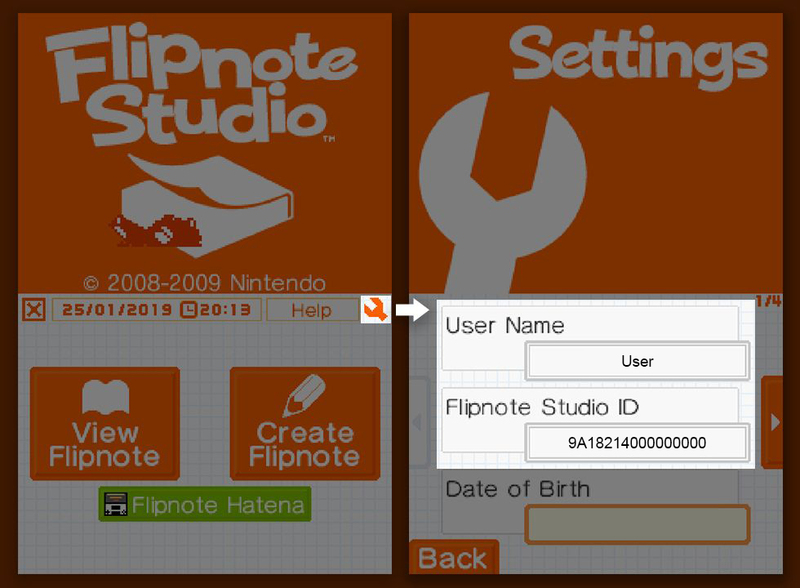 On your DSi, open Flipnote Studio and tap on the wrench on the top right. 3. 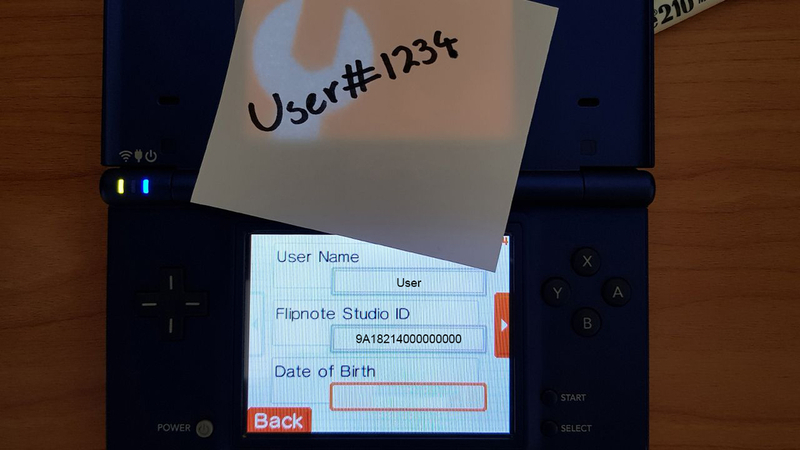 You should be on a screen with your DSi’s name, your Flipnote Studio ID (or FSID), and your date of birth. 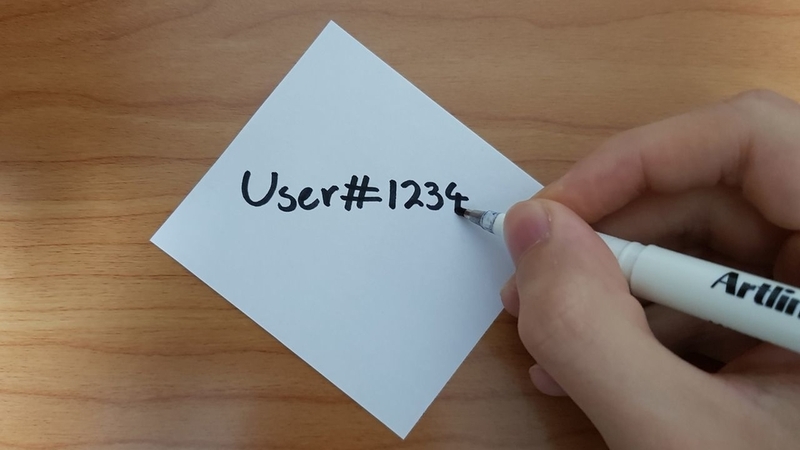 While you’re on that screen, grab out your paper and write your Discord username and it’s 4-digit discriminator (for example: User#1234). 4. 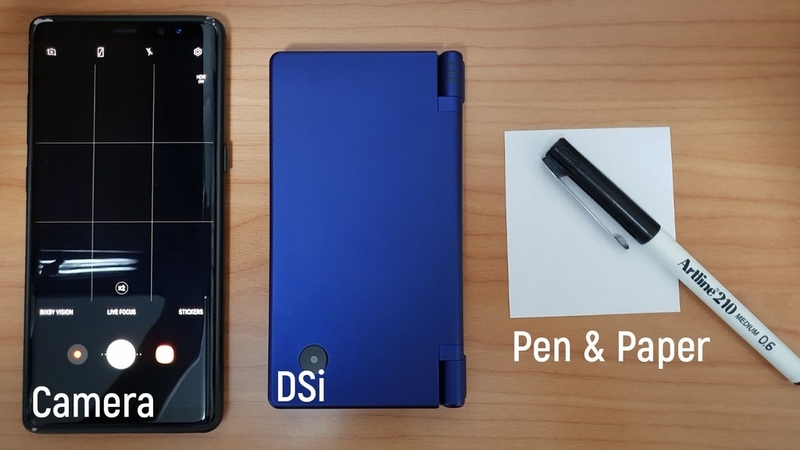 Take a picture with both your FSID and piece of paper in frame. Insure you’re under bright lighting and that the image is clear. 5. 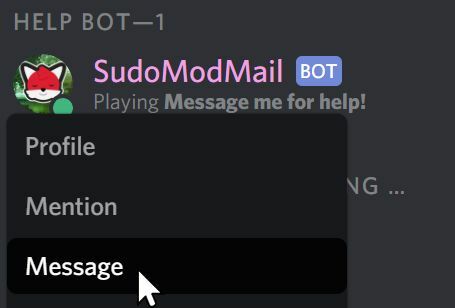 On our Discord, right click on “SudoModMail” on the right, then click on “Message”. 6. 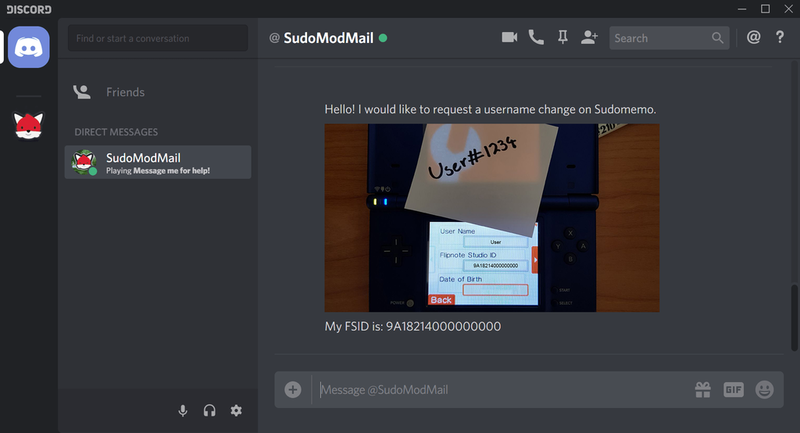 On this screen, tell SudoModMail that you wish to change your username. In a separate message, send through the image you just took. Also type out your FSID and send that through as well. PLEASE NOTE: Your message is now being sent to a member of staff. We will try our best to get back to you as quickly as possible, but we sometimes deal with multiple threads at once so it might take a little while to receive a response from us. If you receive a delivery failed message, ensure that you have enabled “Allow direct messages from server members.” (Discord Settings > Privacy & Safety). We recommend disabling this option once you’ve finished talking to SudoModMail. 7. You will receive a response from us asking what you want your new username to be. Please note that there’s a 10 character limit. We will give you the all clear once we change your username. Please note that the changes may not take effect immediately. 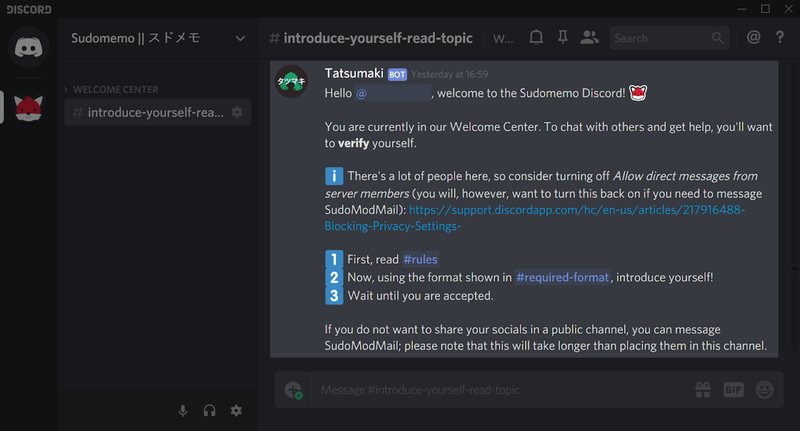 Enjoy your new username on Sudomemo! If you have any other question, reach out to us on Discord. We’re here to help.